First a word about the comment section which two days ago turned into the equivalent of a coked-up knife fight among rival biker gangs (of accountants). As regular addicted readers will know, we recently debated whether the steerage area of this blog was out of control and needed cops, filters or just a muzzle. You offered your thoughts. They were analyzed by a crack team of advisors (thanks, Bandit) and a conclusion was reached. The comments stay. There’ll be no tiered responses and no ability for people to pile on a single poster. No Trumpian bullying. No registration form, either. All deplorables may stay anonymous. And the membership fee remains the same. It’s tax-deductible. What did thus week’s debate here show? Simply, that the above works. Yeah, a few moronic comments were deleted, some salty language was cleansed and a number of flagrantly stupid posts deserved a rectifying footnote. But the debate here – of those who think T2’s assault on doctors, plumbers and IT guys is outrageous, and those who believe everyone should be an employee, all dollars are equal and successful folks are tax criminals – was healthy. The formal is chronological, as opposed to logical. Readers can scroll through a variety of thoughts from a wide cross-section of people – those making $26,000 to half a million, from commies to tories. Thus it shall stay for a while. Just don’t threaten me or I’ll sulk. Meanwhile there are 35 days remaining in the seventy-five day summer consultation period the Department of Finance has declared before the tax rules on small business are drastically altered. This week the Bill-what-the-hell-are-you-doing? campaign kicked into high gear with finance minister Bill Morneau being besieged with taxpayer letters, accountant protests and lobbying efforts from farmer groups to manufacturers. Suddenly the issue of ‘fairness’ doesn’t look so fair through the eyes of those whose ox is about to be gored. Hey Bill: I quit my job at age 36 when my wife was 6 months pregnant with our first child to start a business. Borrowed no money from the bank, doubtful they would have given me any with no University degree and no 50 page business plan. But with a lot of hard work and lean times my business partner and I have built a pretty successful business over the last 10 years. We now employ over a dozen staff and are continuing to slowly grow. We pay a LOT of taxes. Six figures of payroll remittances every month, six figures of HST every quarter, over $50k of EHT a year, $24k in property tax every year (we bought some office space rather than paying rent and struggled taking less personal income for 6 years to save a down payment). We each pay a huge pile of personal tax each year – $161,683.84 myself in payroll deductions YTD plus another $33,398 in tax installments. I will likely end the year somewhere around $225k in personal tax. Never mind that I will pay another $40k in HST on all the things we buy to live our lives. Thank goodness the wife discovered boxed wine recently Bill, that LCBO budget is a killer. I work a lot of hours as you can imagine. As a small business I have to look after operations, HR, finance, sales, tech support, recruiting, training and coaching of staff, etc. etc. My wife left her job two years ago to look after our 2 young daughters because I could not be there as much as she needed me to. I was too busy trying to be an entrepreneur. She played a large roll in the start-up of the business – can you imagine many pregnant wives encouraging their husbands to quit their very secure job of over 10 years to start a new business? She also has been a huge support over the last decade and we talk about the business every single day. She is full of ideas and helps me very much. After running this little gig for 9 years we finally got to the point where my business partner and I each opened new hold co’s and just this year started to pay our spouses some dividends as payment for their decade of supporting the start-up and growth of this small business. You don’t think this is fair apparently. You don’t feel my family is contributing enough tax to the country apparently. I will tell you Bill that I think it IS fair that my wife is compensated and that we can save a little tax. We are already contributing FAR more than our fair share. Because we took a risk and started a business, the coffers of CRA see a couple of million dollars a year in extra taxes. We have no pensions, I am not covered by employment insurance. I pay $5,000 a year for disability insurance and what do you think will happen to this business if something happens to me Bill? There was a massive amount of risk starting this business. What are the rewards? Long hours? Stress? Never taking a single vacation in 10 year without my laptop and phone and several hours of work every day, 7 days a week? Oh there was a small reward with spousal dividends we just started taking advantage of but you don’t feel that is fair. My thoughts today are that I will probably just give up trying to grow this business much from here. My wife and I have always lived beneath our means. We gave up a lot of luxuries in live to avoid debt and we paid off our mortgage 7 years ago. We live in house we paid $580,000 for Bill, no swanky mansions with housekeepers for this small business owner. We always maxed out our RRSPS and have built a decent little nest egg so even with no fat government pensions I guess we will be ok. No French Fry money for this guy. Just a lean paycheque eviscerated by the liberal tax machine. No trips to Paris, private yachts or helicopters for us Bill. My wife has a nice Hyundai if you ever need a lift. Hi Bill: I’m a business owner and am now, after years of toiling, I am considered to be a high income earner. I have no pension, no benefits, I took one vacation day off last year because I have no other choice, and I work at least 50 hours per week. Funny thing is, I don’t feel wealthy or a high earner. Like tens of thousands of other businesses owners across the country, I pay a tremendous amount of money that benefit other Canadians through salaries to employees, payments to Canadian suppliers and service providers, regulatory fees to Canadian institutions, and taxes to the Canadian government. No one with an even rudimentary understanding of economics would argue against the benefit that Canadian small businesses have on the economy. It is important to emphasize that the entrepreneurial dream that small businesses provide is also one that welcomes all people – there is no gender, ethnic, or other exclusive membership that prevents one to become a business owner. For a government that prides itself on equality, most would argue that the open path to small business ownership has been the only truly unhindered way for people to receive equal opportunity to achieve their respective economic dreams. I understand that under the banner of “fairness” these tax rule changes were conceived. But they are just the opposite. They are unfair to those who go without rich public sector pensions, unfair to those that take on a tremendous amount of risk while putting food on the tables of many other Canadian households. Worst of all it is an assault on the incentive to enter one of the only paths that promotes true economic fairness for all. Please rethink this or I, as well as millions of others that value small businesses, will be responding with our vote. For or against, you should be part of this conversation, and respond to the feds before the next round of tax changes are carved into stone. Here is the much-criticized Bill Morneau document on “fair” changes to the way small business are taxed. And here is how to reach the minister: [email protected]. You can find your own MP’s email here. 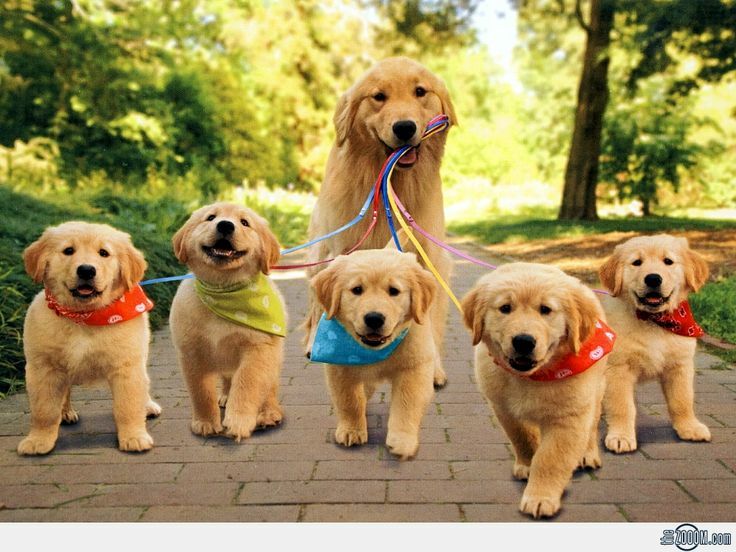 And here is a picture of puppies. Choose wisely. Next week a shocking event will occur. Well, it would have shocked you in March. Now it’s akin to watching Houston fill up with water. A disaster in slow-mo, but without the tragedy. In seven days the nation’s largest real estate board will be forced to admit year-over-year house prices have gone down. What an astonishing reversal from five months ago when real estate values in the GTA were romping higher by more than 30% y/y each month, when 90% of new listings sold in the same week they came to market, when bidding wars were rampant, arrogant realtors were holding blind auctions, bully offers were flying and people were desperate to buy at any price for fear of being locked out of the market forever. This blog said pshaw. Don’t be a moron. It’s peak house. August numbers will show a price decline in the neighbourhood of 20%, while sales continue to run 40-60% below last year’s levels. For real estate agents, this is an event never before witnessed – sales falling by half in just a few months, buyers retreating and commissions evaporating. There are over 80,000 realtors in Ontario, more than 48,000 of them in the GTA alone. Their ranks have bloated 41% in the past five years, making this the fastest-growing employment category in the nation. Just like FOMO-infused, house-lusty buyers, they wanted to straddle the real estate rocket. Now the ride’s over. It blew up. “I have noticed that my local 9 hole public golf course located near the real estate board’s offices in central Toronto has been very quiet recently,” says one veteran agent. “For years, the little course has been a favourite for real estate agents who would drop in for a quick round, between appointments. In times past the lot was full of Mercedes, Audi’s and Lexus, many with a real estate branded personal license plates. “This summer the parking lot has been almost empty. On two occasions this week, I walked on with no reservation, and played 9 holes by myself ! That has never happened since I started playing there in 1999. On Friday I had time to drop 3 or 4 balls on a green and practice putting in the middle of my round, because there was nobody behind me to hurry me along. Now if an agent hasn’t generated a pay cheque since April, survival instincts kick in and the first thing that gets chopped are the optional expenses. As reported here, the average detached home which commanded $1.205 million in April, and was swarmed with horny buyers, is now available in the $900,000 range, and open to a conditional offer. Inventory in July jumped almost 20% while the sales-to-listing ratio crumbled. The same emotional excess that pushed people to extreme buying in the winter has them running as prices decline. Yes, we leap in when risk is highest and quiver when it fades. Genius. So where are we now? Has the market bottomed? Is it anywhere near? Time to move in and bargain hunt? Nah, doesn’t look like it. The two shoes yet to drop are a few weeks away. Interest rates go up again in the third week of October, increasing the prime rate to 3.2%, taking secured HELOCs to 3.7% and adding about a quarter point to all fixed-rate mortgages, which are already hovering at the 3% mark. If the Bank of Canada’s on a tightening trajectory consistent with the past, four or five more increases are to come over the next 18 to 24 months. That would lift the five-year fixed to 4% in 2019. By historic standards, dirt cheap. For Moisters who thought 2% loans were their birthright, it’s a mess. The second shoe makes it worse. The universal stress test. All borrowers will be required by the end of 2017 to qualify at the current rate + 2%, regardless of down payment heft. It means mortgage rates will have gone from 2% to 5% in less than a year – precisely what the housing bulls, who like to come here to paw, pee and snort, said would never happen. How much more will this depress prices? The mortgage dudes have settled on 18%, the amount by which they think credit will be reduced when the test is in place. People will qualify to borrow that much less, on average, which would push down prices equally. Thus, another $175,000 off the average GTA detached, taking it to about $800,000. That, by the way, would wipe out 2.5 years of price increases. Yup, back to the spring of 2015. TD Bank is less flummoxed, saying prices could be depressed as much as 10% by the test. Of course, when you add in the Bank of Canada’s tightening thrust, the impact of the coming draconian tax changes this blog has been obsessed with, and the circus of US politics, it could all get more extreme. It is precisely this uncertainty which has kept buyers on the sidelines, sensing there are lower prices and more desperate sellers ahead. So, no, not the bottom. We have not yet landed. It won’t be apparent until the event is past. But if you need a house, can afford it, plan to be there a decade, hate stress tests and higher rates you will fare better than the fools of April.